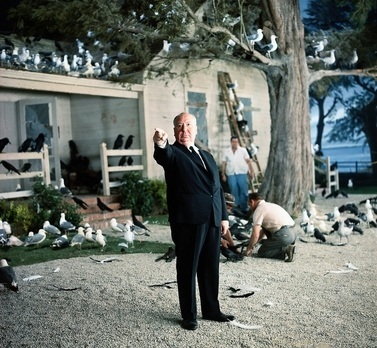 To try and top his previous hit, Psycho, Alfred Hitchcock undertook his most technically complex movie, with the most visual effects he'd used on a film and the presence of hundreds of live birds on some of the sets. 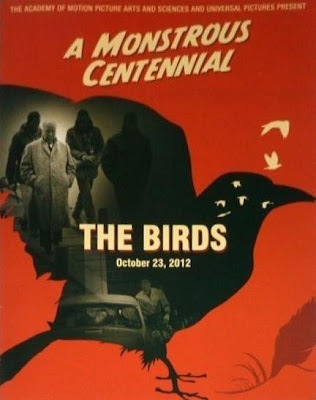 While his most influential horror film remains Psycho, I was (and still am) far more impressed by The Birds. It often used to play on TV in the early and mid-1970s, beating Psycho to the small screen in the UK. I think the BBC were worried about showing Psycho and daren't cut it, out of respect. This delay meant that I impatiently spoiled all the twists and shocks by looking at the Psycho fotonovel. 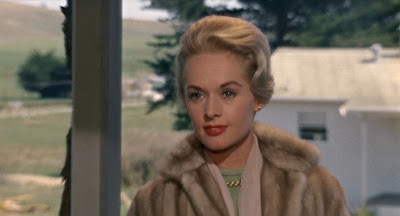 But I'd only seen a few photos from The Birds and experienced it quite young. 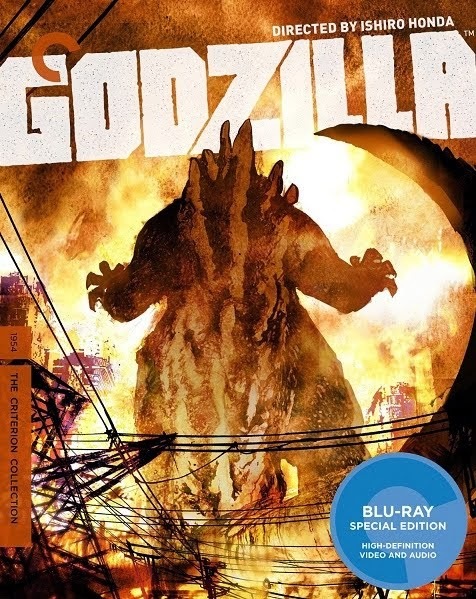 The shock moments are as raw as Psycho, but it also has an apocalyptic theme and was my early experience of an animal attack film, before I'd even seen Jaws. As a young teenager, I felt like I'd experienced the story of The Birds rather than just watched it. The open-ending left me up in the air too (Mum, what happens next?). 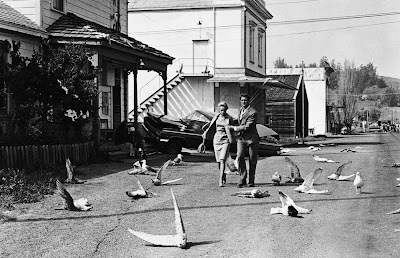 I didn't develop a fear of birds, the same way people avoided showers after Psycho, but the story certainly went in deep. 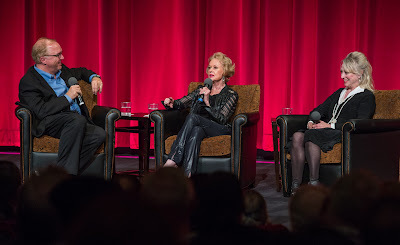 Last October, we took the opportunity to see The Birds at an AMPAS cinema in Los Angeles. The Samuel Goldwyn Theatre was hosting a season of Universal horror films running up to Halloween. Veronica told the story of how she was invited to be interviewed by the director for this role. She'd already appeared in two TV episodes of Alfred Hitchcock Presents, but thinks he cast her because he saw The Children's Hour. She went into his office and he talked to her about wines and steak! Because she was born in Bristol, where one of his favourite wines originated. The fact that she was still only 12 didn't seem to faze him. She recalled the most difficult day of the shoot being when she was trapped in a house with hundreds of small birds. Of course this had to happen on her birthday. She was asked if the theme of the film was at all unsuitably adult for her, but she replied it was far less adult than The Children's Hour. 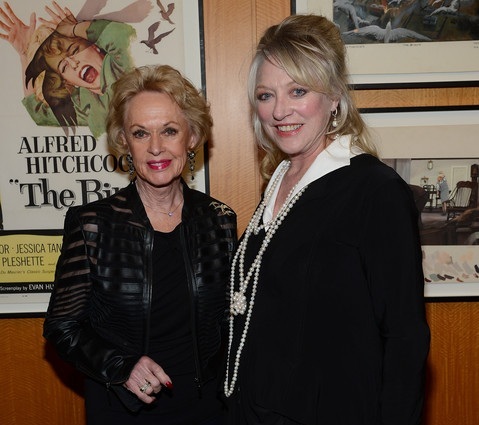 This was Tippi Hedren's first movie. She'd been placed under contract with Universal after being spotted in a TV advert. There's an in-joke replay of that ad (for Sego) when she first appears in the film. To become an actress, she had to quit her job with the modelling agency where she worked steadily. She loved appearing in the bird shop scene the best, flirting with Rod Taylor while pretending to be a shop assistant. Naturally she hated the loft scene the most. She recalled the assistant director, Jim, coming in and saying that the mechanical birds weren't working and she'd have to shoot it all with live ones. As she walked on set, it had all been rigged for live birds, betraying that it couldn't have been a last minute decision. 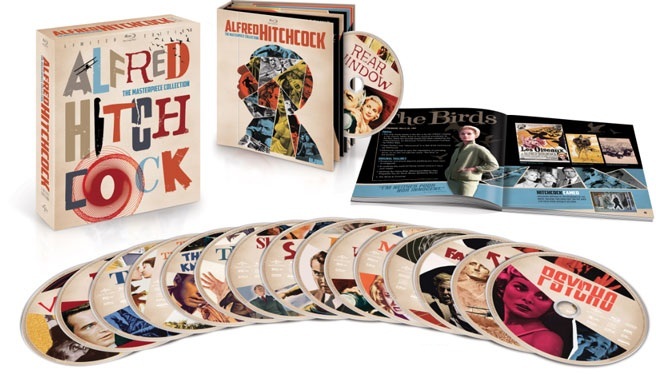 The Birds has just had an extensive, expensive restoration for its high-definition debut on blu-ray (as part of the Alfred Hitchcock Masterpiece Collection, the U.S. boxset is shown below). I was already concerned that the layers of optical compositing, used in many scenes, was going to be too distracting for a modern, critical audience. I was already annoyed by the tell-tale dark matte lines around many of the animals when I first saw it on TV in the 1970s! 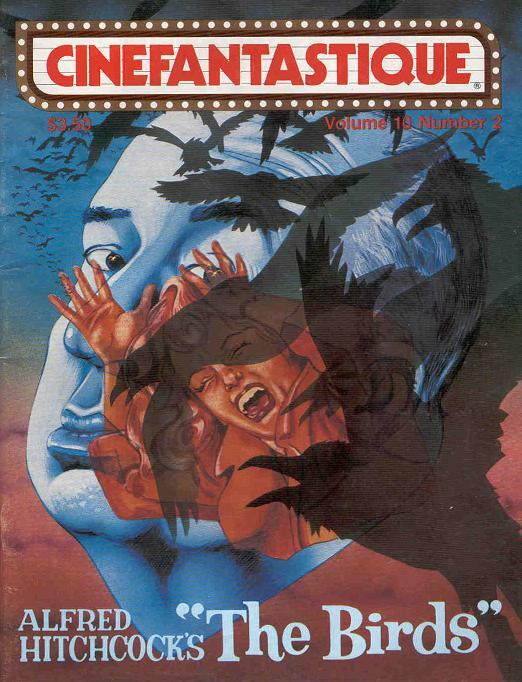 How would it look now on a high-resolution cinema projection? This was also my first chance to see the film with an audience. I like to half-forget movies before rewatching them, and The Birds was ripe for a revisit. During the opening titles, the AMPAS audience applauded some names and not others. They would also clap when a new actor appeared onscreen, a similar custom with audiences of stage plays. The volume of applause is a telling barometer of popularity, keenly related to which celebrities are present in the audience. 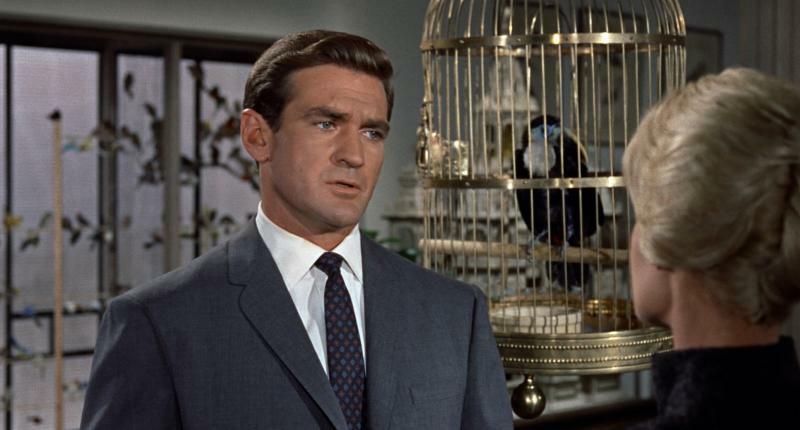 It starts in San Francisco, Melanie Daniels (Tippi) goes into a pet shop and is drawn into a case of mistaken identity when a handsome young man (Rod Taylor) tries to buy a pair of rare (MacGuffin) birds. Because of his teasing, she then plans an elaborate practical joke back on him, by personally delivering the birds to his very doorstep, anonymously. The original idea is credited to Daphne Du Maurier's 1952 short story, set in Cornwall in an isolated community, a family fending off the attacking birds without knowing the cause. Then they hear the news on the radio that it's happening all over the country. 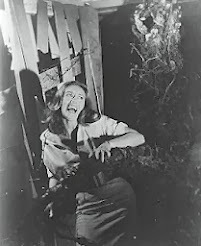 The story and the film prefigures the siege aspect of Night of the Living Dead, down to makeshift carpentry being the last line of defence. Just as important to the script were two incidents that made local headlines in America (also mentioned in the film) of disorientated seagulls smashing into two coastal California towns. The story was then developed in collaboration with scriptwriter Evan Hunter, organically grown around fictional characters in real locations. Once Bodega Bay had been suggested, Hitchcock and his production design team visited, took photographs, made sketches and imagined how the town could be used both for filming locations and settings for the story. For instance, the bay itself, that stretches around from the town, immediately suggests the scene where Mitch drives around the bay while Melanie cuts across it by boat. The location preceded the script, suggesting this scene. Similarly the church and schoolhouse on the hill, and its distance from the town centre, suggests the schoolchildren hurrying down the hill. This process is described by the production designers themselves as they revisit the location in the recent documentary Something's Gonna Live (2010). But watching it again, the meticulous plotting and setting the scene felt far too long. Now that this is an infamous 'animal attack' movie, we're not going to fall for the director's original ploy that this is going to be a screwball comedy. I felt uncomfortable that the real business was a long time coming, and only relaxed once the birds finally showed their nasty side. Another sign of age, was the pointed staging of characters to demonstrate their relationships. Mitch's mother is very protective of him and positively distraught that he might be attracted to Melanie. 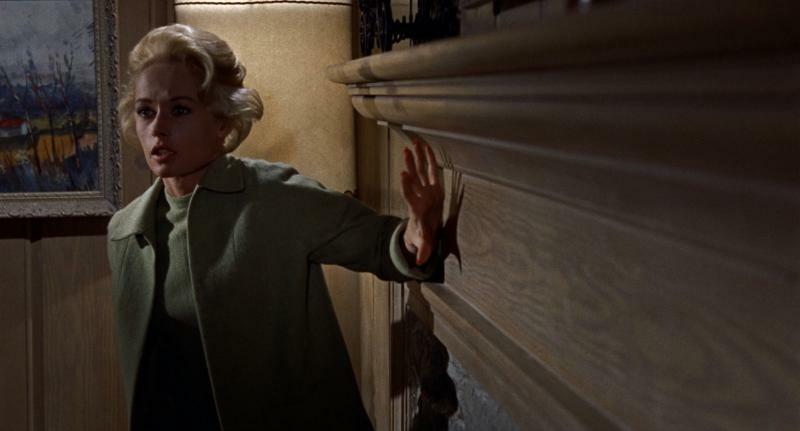 In one scene his mother is framed moving inbetween them, visually symbolising her blockading their possible romance, but to a movie-literate audience this is no longer subtle, and was getting laughs. This total control on framing the image for psychological reasons, and staging the story in his head beforehand, is beginning to look like overplanning. Maybe it's not subtle enough. Maybe film studies have clued us all in. Even his editing has been decided beforehand - Hitch started doing this, only filming what was needed, so that studios couldn't recut his films later. He didn't catch everything on a master shot, he only shot the part of the scene that he needed. But this pre-planning isn't as organic as the preparation work for his story, and he's stuck with his original mind's eye in the edit suite. One scene I've never fallen for is the inter-cutting of the travelling flame and the reactions of the people in the diner. As he cuts back to them, their heads are static, like stop motion characters frozen for a frame. It's a wonderfully stylised moment that doesn't work. I love that he did it - it's mad. It just doesn't work. It might if they were a frozen still frame, but we can see that they're posed, moving slightly. 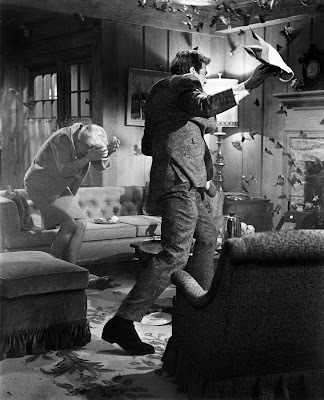 Admittedly, if his methods didn't work out in editing, Hitchcock would reshoot the scene. Apparently even taking trees back from the location in order to recreate exterior scenes in obsessive detail in the studio. 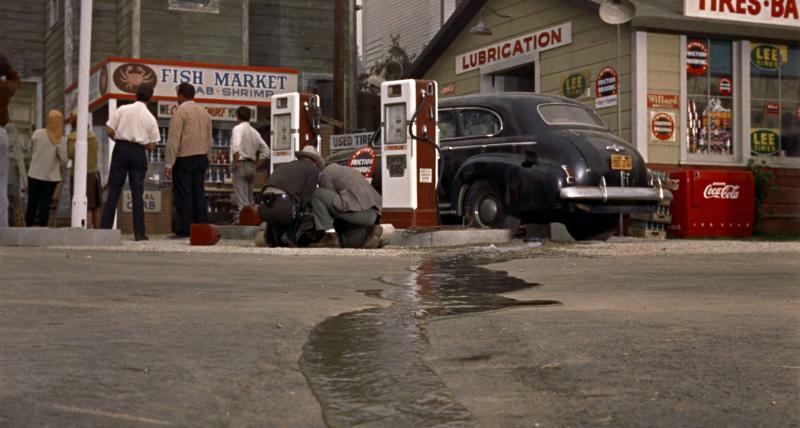 Again, his eye for continuity is far more critical than his bold use of back projection and matte paintings. Another unintentional laugh was the jarring cut between Mitch and Mel walking in the back garden by Bodega Bay, then talking atop a sand dune in a studio. He may be perfectly controlling the light for the situation, but it's now lost all believability. Even for small snatches of conversation, a scene might suddenly flashback to the studio for a close up. It was getting more laughs than I'd expect from movie-lovers. But I love it when an audience is deriding a film and then a moment comes that still totally works, takes them by surprise and shuts them up. That the film still has the power to unsettle and shock, despite its age. The Birds is at its best when dishing out peril and suspense. 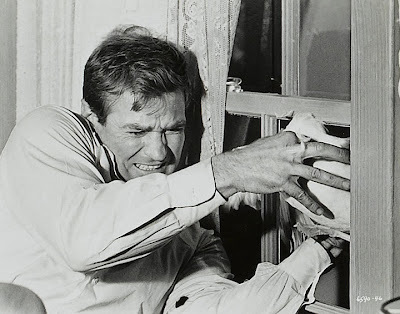 While much has been made of Tippi's bird attacks, particularly recently in The Girl, Rod Taylor also seemed to be suffering in the scene where he defends the family home. I'm sure there are several live bird scenes that looked unfakeable. Another great scene is in the town diner, where a cross-section of the public interpret what's happening to them by way of hysterical arguing. It's a concise, funny, doomladen scene that pre-empts the much longer situation in Frank Darabont's The Mist. I was surprised that he expanded that scenario to almost the whole length of the film! The digital restoration troubled me. Despite being forewarned that this wasn't being shown on 35mm, I was certainly never under the impression that I was looking at film. The grain is no longer pin sharp, and now swims around a little. The image is beautifully colour saturated, but no longer pin sharp. There's an eerie absence of film scratches, something digital restoration can hide effectively, with a lot of work. The main problem for me is with motion. In digital displays and projection, even at high resolution, rapid movements (like wings in flight) look like they were 'blending' over several frames in a blur of motion. Detail on moving objects can't be seen clearly until it's steady within the frame. The loss of detail is especially poor in slow camera panning or sideways tracking shots. Thankfully the more distracting faults from the layers of optical compositing (re-photographing elements into one image) have cleverly been disguised in this restoration, the matte lines aren't nearly as noticeable. Grain and lighting differences are now more likely to give them away, rather then the 'join' between elements. The action is often so frantic that there's no way you can figure out the complexity of each shot as it flashes by. The back projection used during quieter scenes was very noticeable, and also weakens the effectiveness of the hill road attack. It's only powerful because of our empathy for the children. Hitchcock here rejecting the rule he made after Sabotage (1936), when he 'lost' the audience by portraying a child character getting harmed. The three screengrabs are from DVD Beaver's review and comparison of the US and UK blu-ray boxset releases - full article and many more examples, click here. 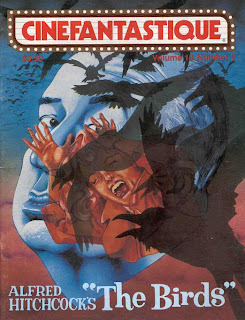 Half of this issue of Cinefantastique (from Fall, 1980) is dedicated to the making of the The Birds, with rare behind-the-scenes photos, storyboards, matte paintings, and colour make-up tests. 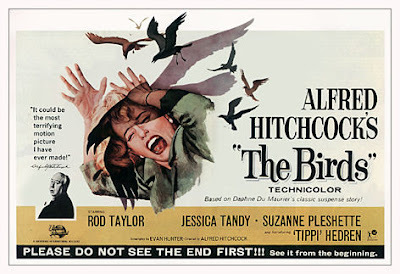 Incidentally, the actress under attack in this poster is Jessica Tandy and not Tippi Hedren. One of many things I learnt from Camille Paglia's account of the making of the film, together with her scrutiny of the women's roles and treatment of the actresses. 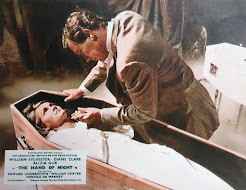 Apart from Rod Taylor's character, the story is all about the women. Mitch's mother, sister, ex-girlfriend... (a lovely and accomplished character played by Suzanne Pleshette). 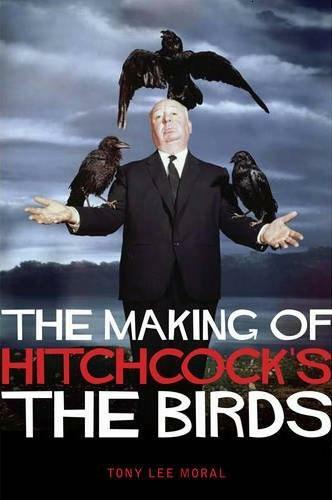 And here's a new book being published in March, The Making of Hitchcock's The Birds. We don't collect Barbie dolls. We don't, honestly we don't. 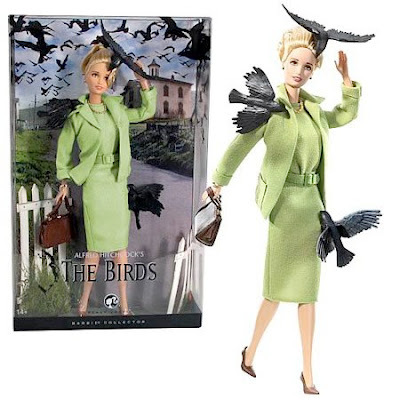 But this is a perfect, slightly warped collectable to commemorate the film. Nice review Mark,the pics of Tippi and Veronica are great..a classic film and the blu-ray looks fantastic!.I have that book by Paglia,it's very well done..nice frame blow-ups.I got that issue of Cinefantastique 30 years ago..one of the best issues ever.Haven't got the new book on the film yet.it's never been mentioned in any stories on the film but it looks like the only location interior they filmed in was the schoolhouse,you can see the bushes through the windows. FYI..the lates 60's film flop Finian's Rainbow shows the Potter Schoolhouse and the Church behind it in the films opening credits shot in the town of Bodega.. I think you're right about the schoolhouse, the book says it was restored for the film and would otherwise have collapsed by now! Though the book wasn't nearly as substantial as I'd hoped and makes many hyperbolic claims about THE BIRDS' influences on the horror genre and visual effects. I've not had a reason to watch FINIAN'S RAINBOW until now! Thank you! Mark,what book do you mean?..the new book?..I'm not sure I'll get it since I've studied the film for about 42 years and know most everything aspect about it.You can go online and see how the school looks now..there's tons of photos and even a facebook type page on it,just type in Potter schoolhouse or Bodega Bay.It's a private residence now,but as you said it was a bed and breakfast..art gallery.But since all the trees have grown up around it in 50 years it doesn't even look like the same location.I bought that documentary you mentioned on the life of Robert Boyle..and his trip back to the locations..it was great!.As I said at end of the credits for Finian's Rainbow you can see the school and church behind Fred Astaire and Petula Clark as they walk across a field and other famous US landmarks..I spotted this many years ago. I also saw the 50th ann. showing in a theater in the fall of 2012..I thought the color was kind of faded compared to most dvd releases.But the image was fairly sharp for a 50 year old film.My only issue with the screenplay is that I doubt Mitch would have found the lovebirds so fast when he went into the house..he would have had to walk over and look at the coffee table right away to see them..it would have been more believible if Melanie had put them on the 'dining room table' since it's right at the end of the hall,he would have walked right toward them when he walked into the house...end of rant!. didn't make sense either..like the scene when she delivers the lovebirds..on the Brenner dock..the dock in the original film wasn't that high..and why was she going up and down on it?..also the film shows Marnie's opening shot being filmed in front of a 'process screen'?..as she walks toward a train station..but it was actually filmed on the Universal backlot's mock-up of a train station!. 'Correction' on my last post....the train station opening of Marnie was filmed at the 'San Jose' train station.